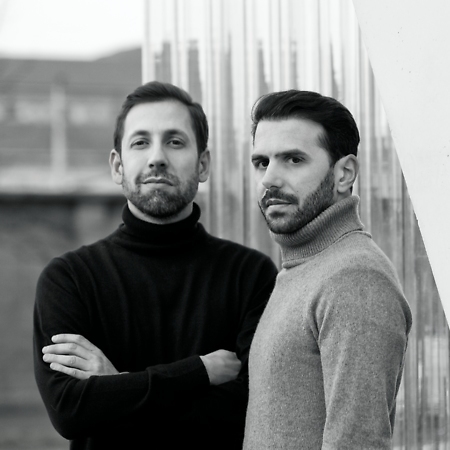 Marco Paolelli and Sandro Meneghello, in addition to being product designers, are strategic consultants for industrial products.They founded Meneghello Paolelli Associati in Milan in 2007. Since then, the studio has grown and now counts a team of collaborators in addition to the founders, as well as a series of project development and communications partners.Since 2007, Studio Meneghello Paolelli Associati has partnered with Italian and foreign companies to create added value through product design. What distinguishes the MPA approach? Firstly, behind every project is a long and tireless process undertaken together with the companies, from the first brief to the final version of the product. Each company is a world unto itself, whose potential, technological and production abilities, and last but not least, commercial needs are studied in depth. Once this introduction is completed, Meneghello Paolelli Associati uses its particular approach to the project that also favors a certain form of “lateral thinking”, which brings the two creatives to develop each design project in an unconventional way, for example, transforming aesthetic stimulations or project solutions from environments completely external to the world of design in the strict sense.This is how the innovation process functions, on one hand, by working closely with the partner companies, and on the other hand, by maintaining an opening even to other areas to receive creative stimulation and innovative ideas.The drive toward innovation, in both concept and aesthetics, has never been the objective unto itself. “Anchoring innovation to the concrete quality of a need for functionality and beauty: this is our mission”, say Marco Paolelli and Sandro Meneghello.As a testimony to this effort and the solidity of its approach, the studio has received numerous international recognitions, among which are ten Red Dot Design Awards, including one “Best of the Best”, seven Design Plus Awards, three Good Design Awards, five ADI Design Index Awards, three special mentions for the German Design Awards and five mentions at Young&Design Award.Currently, the studio portfolio counts collaborations with companies such as The.ArtCeram, Arbi Arredobagno, Glass1989, Horm, Fiam, Gibus, Guzzini, Oasiq, Nobili Rubinetterie, Unopiù, Twils and Victoria+Albert.